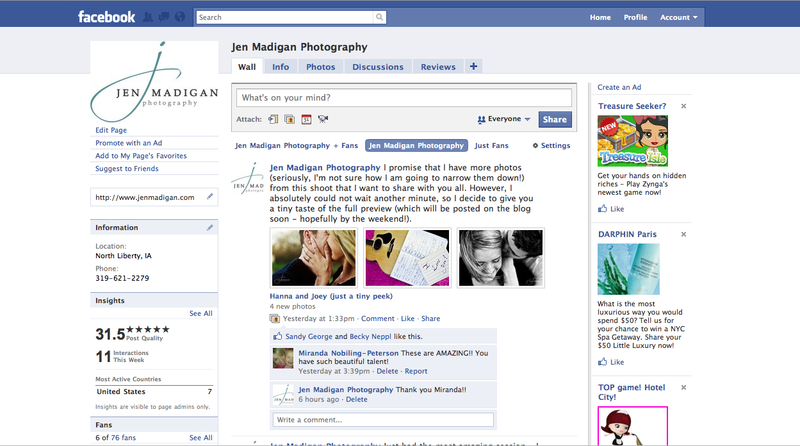 Jen Madigan Photography - Mentor, Ohio Lifestyle Photographer: 50% off special extended! Hey everyone, I just wanted to let you know that I have decided to extend the 50% off session fee special until April 30th (it was originally supposed to expire tomorrow, 4/14). If you or anyone you know is looking to have family photos taken, recently got engaged, or was wanting pictures just because - please email me at madiganphotograph@gmail.com to book a session! Please note, the session does not need to take place before April 30th - it just needs to be booked by that date. My summer is filling up fast with all of the things the warmer months bring - birthday parties, weddings, and vacations (we'll be traveling to San Francisco - can't wait!! ), so make sure and book early if you can (plus you don't want to miss this discount!). You can click HERE for pricing info, and HERE for availability. Also, if you haven't already become a fan of my Facebook page, please do so! I'd love to reach goal #67 on my 101 in 1001 so I can cross it off my list!